An everyday guide to success in the Intermediate Division. This week sees us working away on our novel studies, finishing off our Fractions unit in Math, and finishing up a science project on Friday. 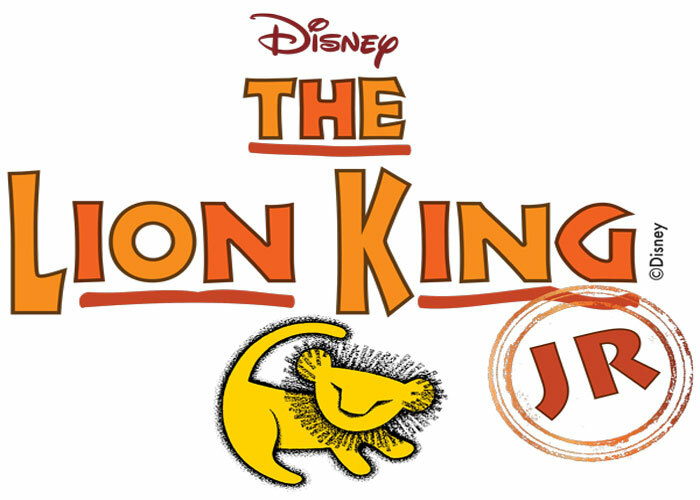 Musical auditions for the Lion King Jr begin for leads on Monday. Just a reminder that ALL grade 7 and 8 students will have some role or function in the musical. We are still collecting data on the grade 7 and 8 trip surveys. Please have your say by returning the survey form as soon as possible. Just a reminder that the school Dance-a-thon will be on Friday, October 30. Students are allowed to wear costumes, but no weapons or masks are permitted. Week three begins with a focus on fractions and paragraph writing, as we begin our new math unit on fractions and our Power Writing assignment on our wishes for the future. We will also be beginning a Religion unit on the different kinds of prayer and some of the important prayers in daily life. Many papers went home last week regarding the Terry Fox run, the school BBQ and Confirmation registration, all of which are happening on the same day, Sept 30. The Terry Fox run will take place during the day time, and the BBQ from 5-6pm, the Open House in the classroom from 6-7 pm, and the Confirmation registration in the gym from 7-8 pm. I hope to get the chance to meet everyone. Welcome to our second week! We are off to a great start in grade 7/8, and had a really successful first week of school. This week we have our first assignments due; our Reach for the Stars in grade 8 and our Tube Dudes in grade 7. We will also be having our first math quiz on Friday. Furthermore, we will be doing a getting to know you meme in Religion. Tryouts are underway for Flag Football and will begin this week for Intermediate Boys' volleyball. The Yearbook club will be getting underway soon, as well as the Social Justice Committee. I would like to encourage all students to try to join something new this year. It is a great opportunity to get outside our comfort zone. Please remember to join Remind.com and send in your health forms ASAP. I hope to keep in touch with everyone this school year. Welcome to the start of a new school year, and in particular, welcome to my class. I am excited to have you all with me on this journey this year. Please know that I will spend this year trying my hardest to ensure that your child has a succesful year; academically and socially. I promise that I will give every effort to push your child out of his or her comfort zone and to promote growth in all areas. I am excited to work with you towards this goal. • Agendas are to be used and signed each evening. • Please ensure that all school supplies arrive at school. •Students are expected to have a gym bag with a change of clothes (shorts/track pants/yoga pants and a t-shirt), proper running shoes, and deodorant at school at all times. This can be brought home for laundry as needed. • Students will be expected to participate in all elements of the curriculum unless a doctor's note is sent (this includes the arts and P.E.). • Information regarding any grade 7 or 8 trips will be sent home in a hard copy as well as posted to this blog. Parents often ask me about homework. There will be some nights when students have no particular homework due the following day, but a good routine to establish is to spend 30 minutes a night on school work. This way, nothing should build up to have last-minute panic. Feel free to contact me via phone (705-431-5711) or by writing a note in the agenda should you have any concerns. Let's have a wonderful year together. Welcome back! I hope you had a wonderful break full of Christmas cheer and are ready to face 2015 - our graduating year! This week will see us return to action will our short story unit in Language Arts and our angles unit in math. I would also like to remind you that our Science Fair Projects are ongoing, as is our preparation for our History Unit Exam on January 15. We are looking forward to a wonderful 2015 together! This week, we will be remembering our Canadian veterans as we celebrate Remembrance Day on Nov. 11. We will be having a liturgy on Tuesday. All are welcome. In addition, we will be continuing our work on our Outsiders cumulative task (see link to assignment) and preparing for our Fathers of Confederation Role Play/Debate on Friday. Our class is in charge of our school-wide spirit wear campaign, that kicks off on Wednesday. Students will be responsible for running our sales booth during Parent/Teacher conferences. Sometime this week, your password for online booking of conferences will be coming home. Just a reminder that Mrs. Ouellette and I will be conducting our interviews together, so you will be able to meet with both teachers during the single appointment. It is also important that your child attend the conference as well. Well, THAT was a busy week. Whew. Congrats to everyone for their behaviour at the Dance-a-thon and thank you to everyone who contributed. Events like these help cover the shortfall in budgets for things like Dramatic Arts and playground equipment, Furthermore, congrats to all grade 8 students for the quality of the school work that was completed last week. Despite a busy week, almost all students completed the required tasks to a pretty high standard. Both Mrs Ouellette and I were very pleased. - It does not matter if your child is not planning on attending St. Pete's. The information will be useful to any future high school student. Upcoming this week will be the introduction of our major cumulative task for Language, which is a Features of a Narrative tool box for the novel The Outsiders, Students will be placed in partners, and each group will be required to complete five different tasks on the novel; one for each Feature of a Narrative that we have studied. Congratulations to all of our grade 8s on a wonderful trip to St Jacob's and African Lion Safari. Thanks very much to our parent volunteers for all of their help. We couldn't have done it without you. Just a reminder that all grade 8s have a science quiz tomorrow. History quizzes from Wednesday are coming home tomorrow. Please review the results with your child. The class average was Level 3. I will be collecting Language books this week to ensure that all of our work on The Outsiders is up to date and grade level appropriate. This is it! Our first grade 8 trip occurs this Thursday. Detailed itineraries will be coming home with the students on Monday. We ask that students NOT bring cell phones. We will be able to keep everyone up to date with our arrival times with Remind.com. It is much easier for us if students do not have phones. Students are working on science labs, fractions, The Outsiders responses and the uniting of Canada as a new country. The will have a history Chapter 1 quiz next Wednesday. A reminder to collect pledges for the Dance-a-thon over Thanksgiving weekend. We've settled into a routine now, and have begun completing our gr 8 curriculum in earnest. It is recommended that students try to stay ahead of the curve be keeping notes organized and reviewing regularly (particularly on nights when there is little other homework). Good practice would be an hour's worth of review for a quiz, and more for a unit test. I'd like to remind everyone that trip forms and money are due back on Sept. 30. Also, the grade 8s will be in charge of our first school mass on Friday, which will take place at St Jean Vianney church in Barrie. Please return the church form ASAP. We are also looking for a few HPV forms from the ladies to come back. Regardless of whether your daughter is getting immunized, the form needs to be returned. I enjoyed meeting everyone who was able to come out to meet the teacher night. I look forward to working with you this year. I am a graduate of the Trent-Queens Concurrent Education program with a joint Bachelor of Arts (Honours) in French and English Literature. I have been teaching at St. Francis of Assisi School since 1998, most of that in the Intermediate Division.